Crimmins Garage offers a comprehensive range of general mechanical services at amazing prices. We’ve been providing the local community and surrounding areas with exceptional service and advice for over 30 years. Let us help you get your car back in working order with help from our experienced team of mechanics. Full service available – All work is carried out from workshop in Enniskerry. Panel Beating and Spray Painting – All of this work is undertaken at our workshop. Tyre repair and replacement – we use most major brands, tyres are sold and repaired here. Recovery Service – Towing of vehicles available. Spare and new car parts available - we stock Exile batteries and a range of Bosch consumables. Free Courtesy Cars available while work is being carried out. Contact us today to learn more about our service and additional product available. 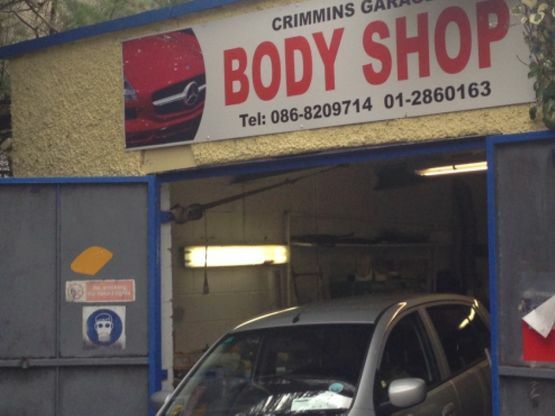 All works are carried out in our workshop in Enniskerry, so you can rest assured that your vehicle will be seen to quickly and competently. Free courtesy cars while work is being carried out!